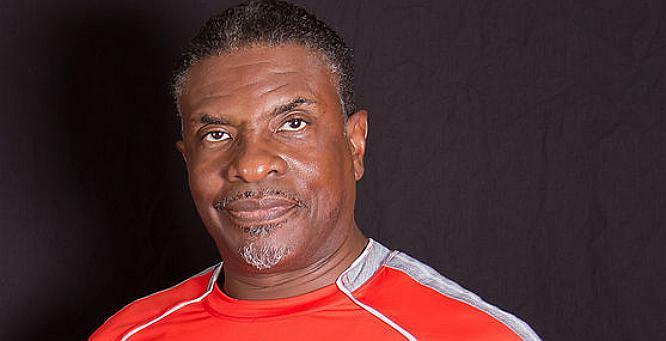 Keith David has had many memorable roles in film and on TV. From “Platoon” to “There’s Something About Mary” to “Men at Work,” Keith’s resume is always growing. 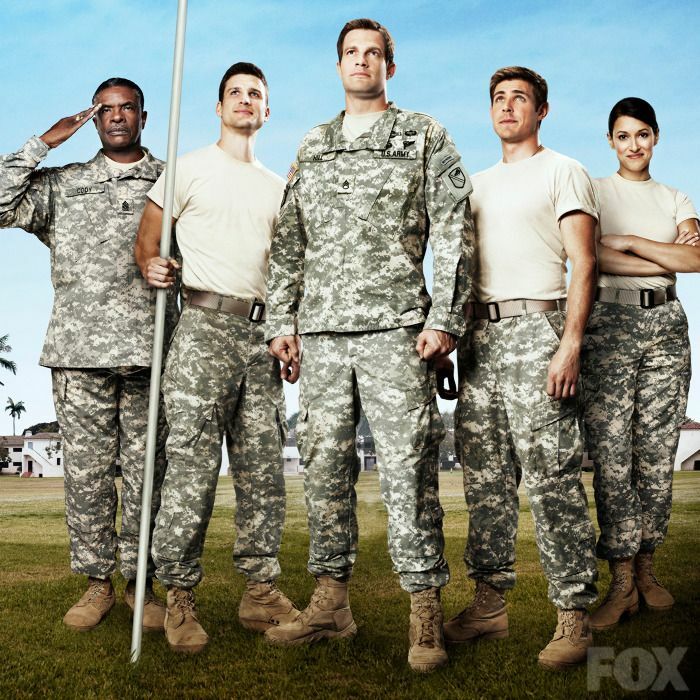 He is now on the new show called “Enlisted” on FOX. It is a comedy about three brothers on a small Florida Army post and their experience with a bunch of oddballs who work with them. David plays Command Sergeant Major Donald Cody, who served with the brothers’ late father. The Sergeant made a promise to look after his friend’s sons. The show airs on FOX on Fridays at 9:30/8:30 central. I was able to chat with Keith about his role on “Enlisted,” acting, voice over work, and which roles he gets most remembered for from his fans. Art Eddy: You star in the new hit comedy on FOX called “Enlisted.” You play Command Sergeant Major Donald Cody. Tell me a bit about your role and the show. 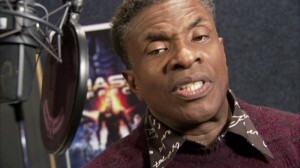 Keith David: I am the highest enlisted man on the base. I’m not an officer so don’t call me sir. I work for a living. We have a lot of fun. It is a workplace comedy. One of the things about a rear detachment unit is that the general perception is that it is for losers. The truth of the matter is that the Army is a business. Somebody has got to run it. Not everybody can fight. We are the guys who run the business of the Army. We take care of cleaning the tanks. We take care of the families. We do the paperwork. We do all that kind of stuff. That is another thing that separates us from other military shows. Most of the time when you see a military show it is either in the field fighting or getting ready to fight. We don’t do any fighting over there. All our stuff takes place at home. We fight for the rights of the families. AE: What attracted you to this role and the show? KD: One of the things that comes apparent in the course of the series is that I am sort of a surrogate father to these boys. I served with their father for more than half of my life. When their father died I made a promise that I would look after these boys. Part of the job for the Command Sergeant Major is that he does look after the soldiers. In some ways they become like his children. You look after them and you care about them each individually. Everyone has different needs. We all have soldiering to do, but everyone is not to be soldiered in the same way. Yes, we have common responsibilities, but everyone needs to be handled differently. Just as the way a father would handle his children. AE: Which other characters from the show did you enjoy watching as you were taping episodes? KD: There is a little something there for everybody. All the members of the platoon get their moment to shine and let you know who they are. They all have their own special personality traits and quirks that you will come to enjoy. I certainly have enjoyed watching them as they unfold over the course of the series. It was fun watching Geoff develop into a leader. Seeing the scenes as the brothers come together as a family and as a platoon. Again it is part of the journey of the series. It really has been a wonderful ride. AE: How many shows have you guys taped already? KD: We have 13 in the can. Hopefully you will get to see all 13 and you will ask to see 13 or 22 more. AE: To say that you are a very accomplished actor would be an understatement. Not only are you known for you roles in “Platoon,” “Crash,” and “There’s Something About Mary,” but you do a lot of voice acting as well. How did you get involved into voice acting? KD: Wow. I have been doing voice over work for a very long time. When I first graduated from school I really wanted to do voice overs. I always wanted to do cartoons, animation, and especially documentaries. It was a very exclusive club. There were very few brothers in it. It was the white boys club and very few brothers were invited. There were a few. I had a wonderful agent who was persistent. After a while I got to be invited to the party. I have been very happy. I have been attending the party ever since. AE: Keeping with voice acting. I am a big fan of yours in Disney’s “Princess and The Frog.” Loved your work as Doctor Facilier. How fun was it to play that role? This was the absolute biggest moment that I got to sing and act. It was wonderful. It was a Disney cartoon. One of my favorites growing up was “Snow White.” I loved “Mister Magoo’s Christmas.” You probably won’t remember Mr. Magoo, but it was a spin on “A Christmas Carol.” Mr. Magoo was Scrooge. It was one of the most wonderful films. I still love it today. Trying to get my kids to love it as much as I do, but they don’t. They just tolerate it. (Laughs). 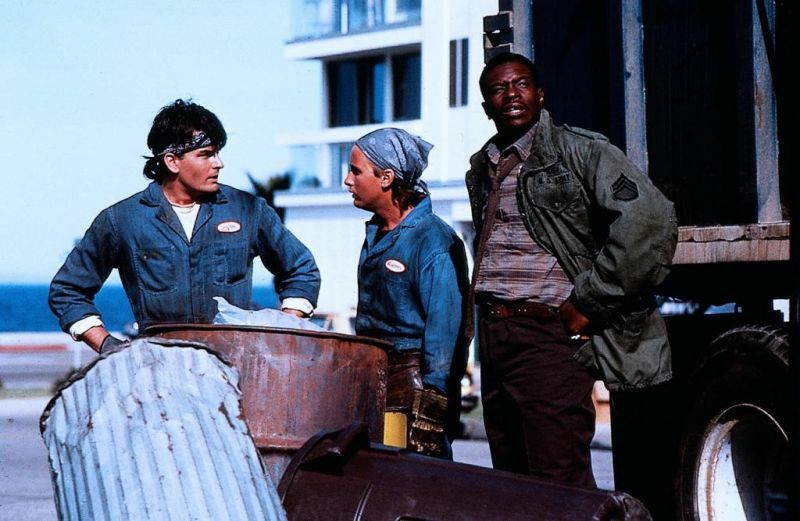 AE: To this day one of my favorite parts in any film was your scene in the diner with Charlie Sheen and Emilio Estevez in “Men at Work.” Just want to let you know I never mess with another man’s fries. KD: (Laughs). That’s a good thing because it is a dangerous thing to do. AE: For you what role do you get recognized most for from fans? KD: Funny enough “Men at Work” is one of them. “Something About Mary” is another. 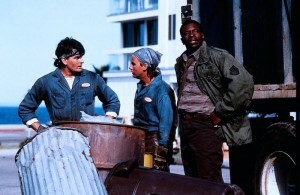 I absolutely love “Men at Work.” It was the first time in a movie that I got to play a little bit of comedy. I think I am a funny guy. AE: (Laughs). Yep. I do too. KD: My wife thinks that she is funnier, but she is wrong. (Both laugh). Print article This entry was posted by Art Eddy III on January 7, 2014 at 6:21 am, and is filed under Entertainment. Follow any responses to this post through RSS 2.0. Both comments and pings are currently closed.